“I Helped Save White Hill Mansion”. Turn left onto Prince, and follow (3 blocks) to stop sign at Burlington St. Turn right on Burlington St. (later 4th St.) (Rte. 662) and follow 1.2 miles to entrance to “White Hill Mansion” in Fieldsboro. The “White Hill Mansion” (beyond trees to right) was the 18th Century home of the American patriots Robert and Mary Field. An early activist for the American cause, Field was to die shortly after the Revolution began, leaving his wife alone to protect her young family through the ravages of war. More than once her home was occupied and she was frequently interrogated for her alleged patriotic activities. As a result of the British army’s capture of Philadelphia in the fall of 1777, most of the American navy, which had been stationed on the Delaware, became trapped upstream. For lack of a better place to moor, the vessels -stood at the foot of White Hill in the spring of 1778, near the Field landing. In early May word reached the area that a detachment of British ships was sailing up the river to seize the American. Fleet and the inhabitants of this tiny community, acting under orders, took the only course open to them to prevent the seizure. When the British reached White Hill on 6 May 1778 they found the riverfront ablaze-local patriots having put the torch to each and every vessel. 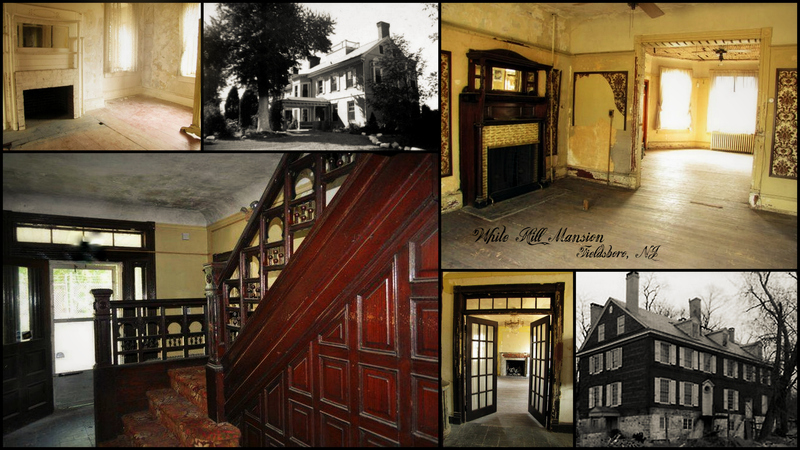 Become a member of the Friends of White Hill Mansion. For a membership fee of $25 per year, you will be not only be supporting the preservation project, but will be included on our exclusive mailing list to participate in upcoming events that will promote White Hill. Your membership will include an “I Helped Save White Hill Mansion” t-shirt and discounts to upcoming such as membership parties, paranormal investigations, historic events and house tours. Click on the “Membership Form” link to print out a form for membership.